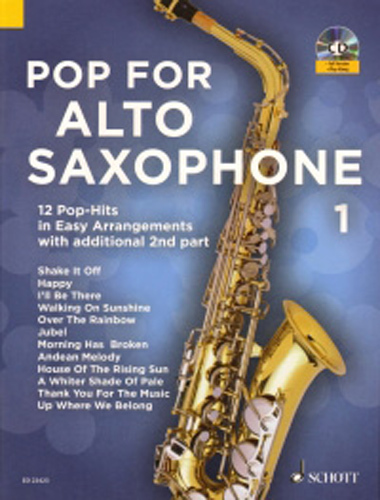 Pop For Alto Saxophone: 12 Pop-Hits in Easy Arrangement, with additional 2nd part. 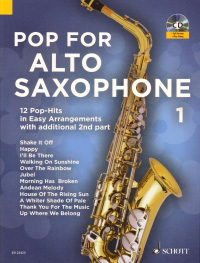 This edition contains the latest pop songs and movie soundtracks along with timeless classics all in easy arrangements for alto saxophone that sound great. Happy: Pharrell Williams, Shake It Off: Taylor Swift, and Walking On Sunshine: Katrina and the Waves, are among the chart-topping titles included in the series.All tunes are arranged for one player with an optional duet part.